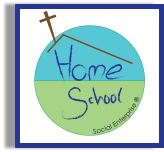 When I launched Homeschool Social Enterprise in 2010, I did not envisage the impact that it would have. I set up the charity because I could see that there was a need for an alternative way to educate children and the wider community. To date, the school has been successful and our impact has spread beyond the school walls. As a charity we have a holistic vision as we realise that education is a lifelong process. 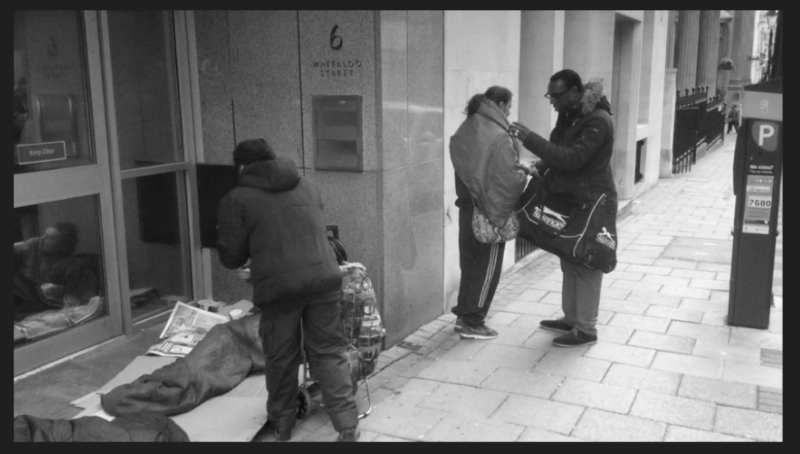 After being approached for money one evening when eating a meal with my wife at a Bistro in Birmingham City Centre, I could not ignore the increasing need on the streets. Fast forward two years from that encounter and our Homeless and Community Outreach has enabled us to connect with society’s most vulnerable adults. What we have found is the link between homelessness and education. It is not just the lack of a quality school education that can lead to homelessness, but the lack of general support and life education that can assist a person in their adult life. As a school we have been able to connect one of Britain’s most ancient institutions with one of society’s most emerging problems. We have also had the unique opportunity to share our experiences with the school children, making them aware that life is not a straightforward journey, but with education and guidance, they can achieve. Sure there is a much larger issue that is causing the level homelessness that we are currently facing and that issue must be addressed. But as a body, should we ‘turn a blind eye’ or should we band together to become a recognised hub for the community? The challenge is this. What can schools and similar institutions do to address the issue of homelessness and other social disengagements? I say this vigilantly as I know that there are many schools that are doing an incredible job at supporting the wider community. However, I also know that there is always room for improvement and the issue of Homelessness is increasing every day. Like the first sight of rain to a dry and thirsty land, this morning was THAT refreshing. Today at Active Christians, we opened our doors to the Wednesbury Christian community for our very first Prayer Breakfast meeting. In response to an email sent out to representatives of several Christian groups, we only saw one visitor but in this scenario, numbers were certainly not everything. The agenda of the meeting was to assemble, discuss and pray over a way forward for Christians who desire to pray over the Wednesbury area. In the midst of just three people, the Holy Spirit prompted us according to what we ought to say as we uttered prayers of breakthrough on the land of Wednesbury. We touched on a multitude of topics including God's support for small industries, renewal of the land, families, marriages, homes, employment, policy and in particular, unity amongst the Christian community. We agreed that although opinions will differ, as Christian we should at least be united in prayer. If not, what exactly are we hoping to achieve here? Psalms 127:1 states it perfectly- Except the Lord build the house, they labour in vain that build it: except the Lord keep the city, the watchman waketh but in vain. In other words, if God is not building our land, what hope do we have for success? Simply put- we labour in VAIN! Wednesbury and indeed the Sandwell district, is rich not only in resources, wealth and land, but there is a hidden spiritual wealth with deep historical roots and a foundation of prayer that has been layered for many many years. Another prayer today was that we reap from the seeds of prayer that have already been planted. Could this be the start of a wonderful harvest in this land? One thing that is certain is that God answers prayer so if collectively we are praying for grand results then surely that can only mean one thing? We urge every Christian in the Wednesbury area to join us for our next prayer breakfast on Tuesday 27th June from 7am - 8:30am at: 49 Manifold Way, Wednesbury, West Midlands, WS10 0GB.